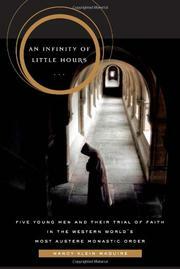 Gripping tale of five young men who entered Catholicism’s most rigorous contemplative monastic order. Founded in 1084, the Carthusian order remained virtually unchanged through the Second Vatican Council in the mid-1960s, declares Maguire, scholar-in-residence at the Folger Shakespeare Library. (It is now slightly more democratic, though post–Vatican II members do not generally consider the changes substantial.) Emphasizing prayer, members of the order led very individual lives, speaking rarely, living austerely and having virtually no contact with the world outside the monastery’s walls. Drawing upon copious letters, e-mails, conversations with former and current members of the order and several nearly unprecedented visits to the English Carthusian monastery of Parkminster, Maguire recreates the personal stories of five men who entered Parkminster in 1960 and 1961. Her goal is “to capture this slice of history that had been frozen in time for nearly 1,000 years.” She does that and more. Her interwoven accounts of the five Parkminster novices convey a deep engagement with their emotional struggles as they grappled month after month with an enclosed world of solitude and silence, encountering, for the most part, only their deepest selves and God. As Maguire describes the psychological pressures that mounted upon these five men, driving some near to madness, the reader comes to understand better the concept of the contemplative lifestyle, and what it demands and promises. The author opens the monastery door, providing a vivid account of the order’s lifestyle and worship, while also exploring the inner struggles of that life. A moving look at the human search for communion with God at perhaps its most extreme.